We gave the Red Devil a supporting role in our Gin Announcement, but now it’s time to give this drink due recognition with a solo appearance. ’Tis the season; and whether you’re feeling naughty or nice, the savory Red Devil will surely satisfy. Stir with ice, strain and serve up or on the rocks with a lemon peel twist. 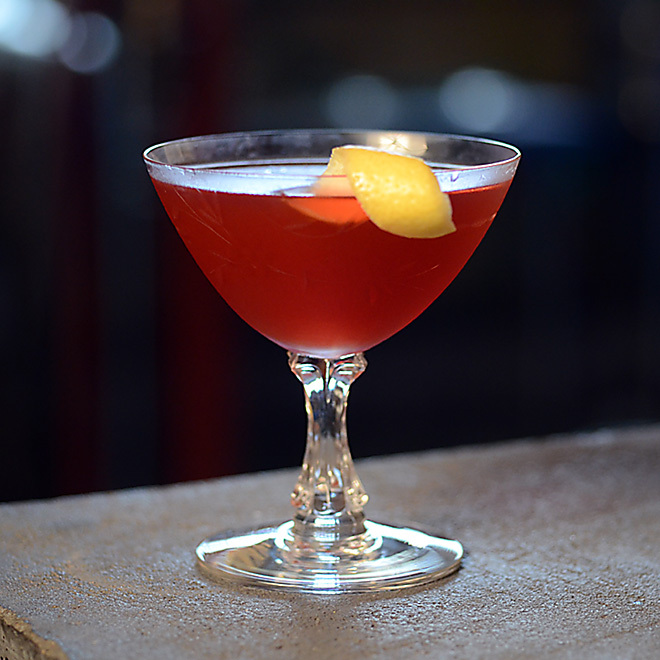 This entry was posted in Atelier Vie, Euphrosine Gin #9, Recipes, Toulouse Red. Bookmark the permalink.